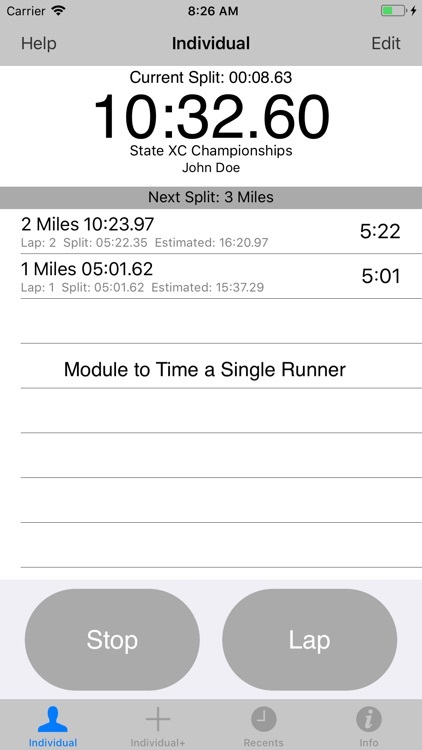 Finally a Stopwatch specific for Cross Country and Road Races. Used by coaches, runners, parents and fans. 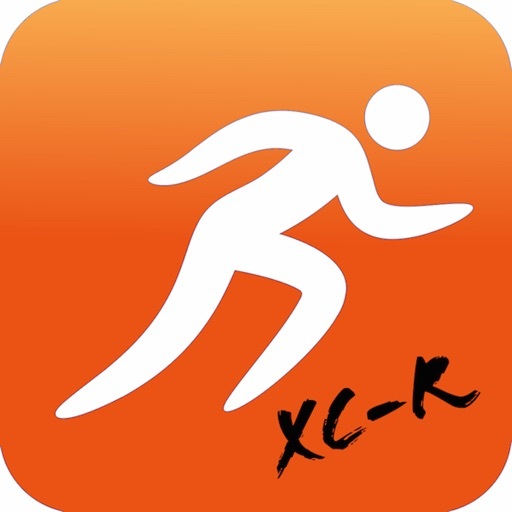 This application keeps the same concept of the StopWatch for Track & Field app, but includes the key requirements for Cross Country and Road races. It uses the volume buttons to control the start/stop/lap functions, so you can have your eyes on the course!. 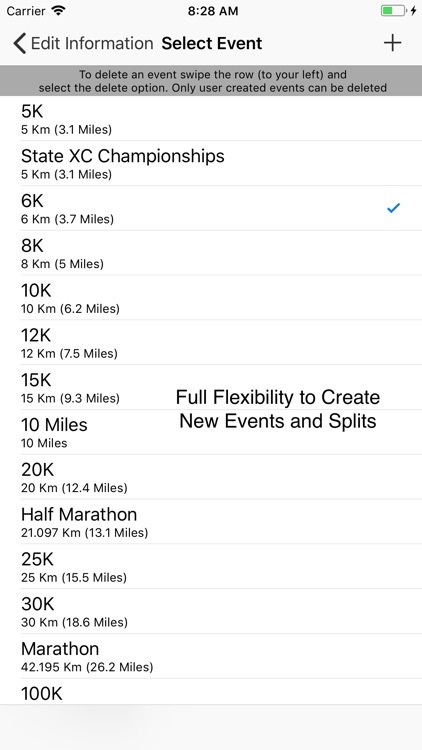 Includes predefined standard events and splits but also it allows you to create your own events and splits. 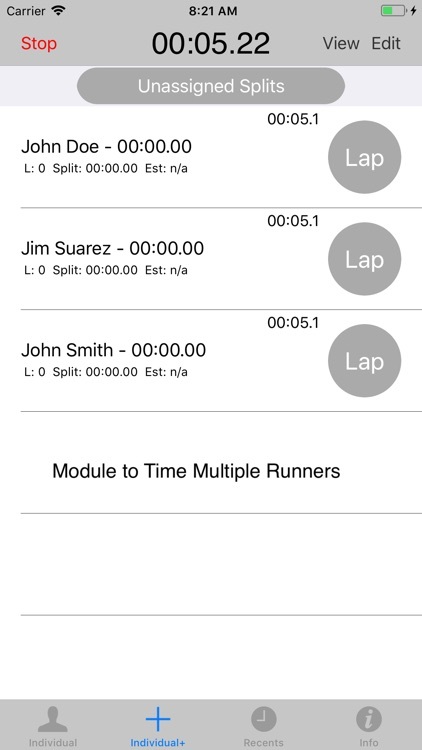 The application can be used to time one or multiple athletes in the same race. 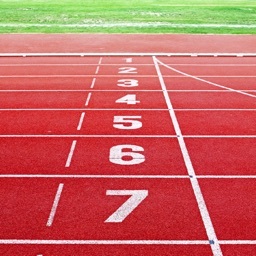 You can set the application to work in Miles or Kilometers. 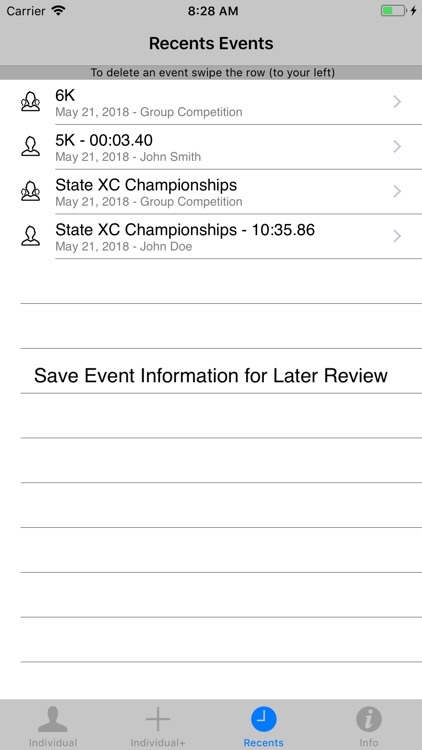 Keeps all your events history for later review and analysis. Each performance can be shared by email. Missed the gun?. Don't worry, you can predefine the start time of the timer. It allows you to Import/Export athletes. 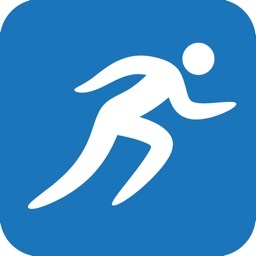 This is useful when you have a big roaster of athletes and needs to be imported to the app. Also if you have the app installed in different devices (iPad and iPhone), it facilitates the process of keeping on sync the roaster. 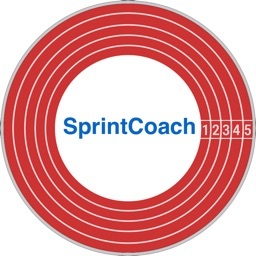 It allows to predefine Teams of athletes (before the meet). 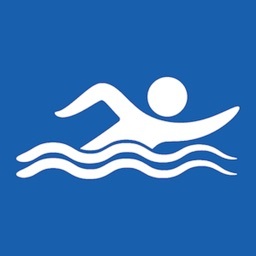 These teams, along with individual athletes, are available to pick from when using the app during meets; these expedite you the process of timing events during the meet. 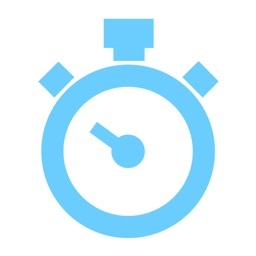 Smart Stop feature: because this app know the event and split distance, it knows exactly when the final lap is, so it will stop the stopwatch at the end of the final lap, regardless of the button you use (lap or stop). 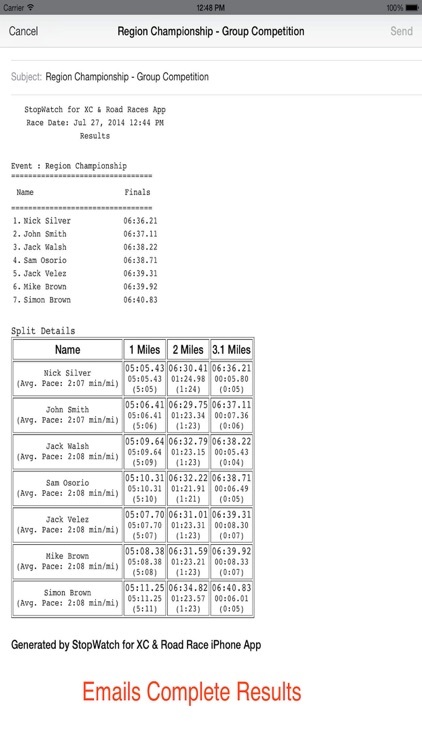 -The average pace for each runner at the end of the event.